The integrity, confidentiality, and privacy of your organization’s mission-critical information rests on how secure you make your site – specifically, who you choose to grant access to your site. 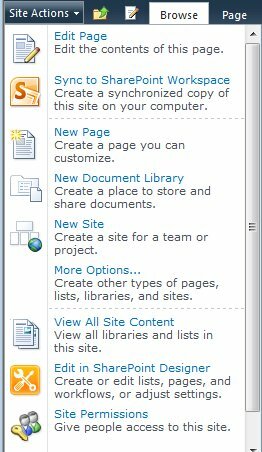 The process of granting and restricting access to your SharePoint sites and content is called managing permissions. 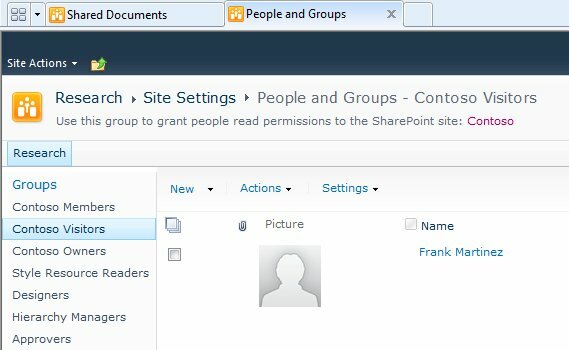 You manage permissions by using SharePoint groups, which control membership, or by using fine-grained permissions, which help you control content at the item or document level. 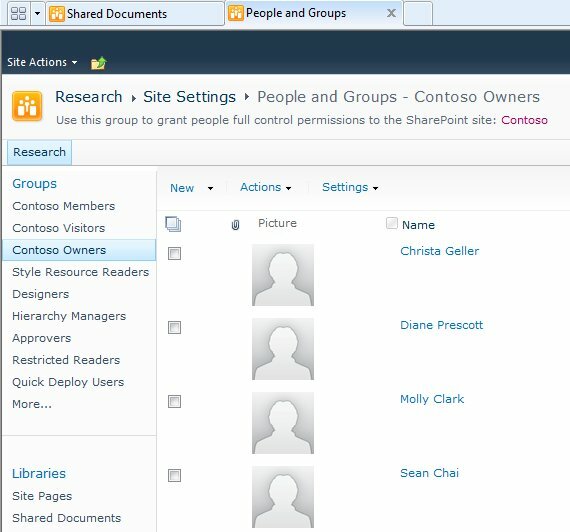 This article focuses on using SharePoint groups to control access to a site. 1. Make sure you have the correct permissions. 2. Review the existing permissions settings for your site. 3. Add groups with the right people in them. 4. Customize permissions settings to suit your needs. To manage permissions for a site, you must have the Manage Permissions level for the site or content. If you cannot see the Site Permissions link, you’ll need to follow your organization’s process for requesting permissions. Click Site Permissions on the Site Actions menu. 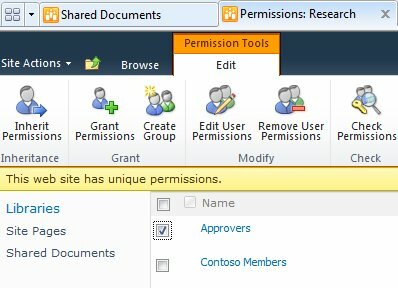 The Name column lists SharePoint groups with permissions to the site. The Permission Levels column lists the permission levels granted to each group. For example, the Contoso Owners group has Full Control and Limited access permission levels. (A) Christa Geller and (B) Diane Prescott are members of the Contoso11 Owners group. Note: You can check the permission levels for anyone in your organization. Click Check Permissions on the permissions page for the site and then type the name of the person you want to check in the User\Group box. 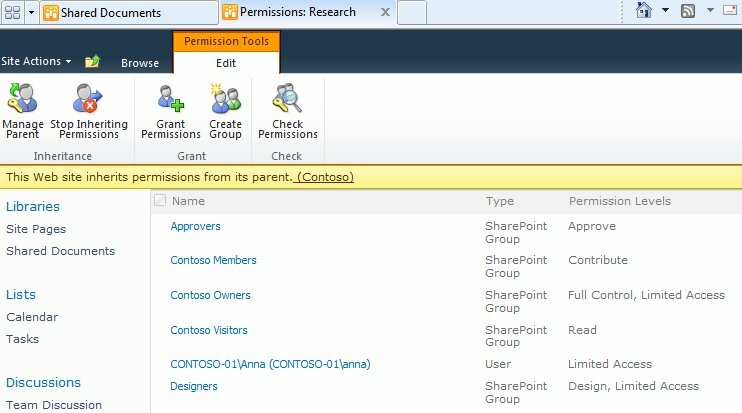 For more information about how permission levels work with SharePoint groups, see Understanding permission levels in SharePoint. 3.Add groups with the right people in them. Add groups to or remove them from your site. Add or remove members from the groups. Click Site Permissions on the Site Actions menu to open the site permissions page. Click the name of the user or group, and then click the command on the ribbon that you want to use. Here are a couple examples using the hypothetical site Contoso, which includes a Visitors group and an Approvers group. To add a new member to the Contoso Visitors group, in the following example, first you would open the site permissions page. Now Sean is a member of the visitors group. You can use the commands on the ribbon to restore inheritance from the parent site, or to grant, modify, check, or manage permissions for the site. 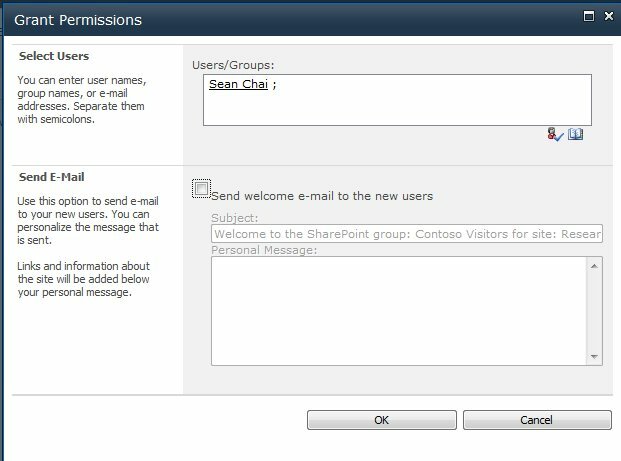 You are not limited the default SharePoint groups or permission levels, although we recommend that you use them when you can, because they are designed to work together and to give you the advantage of changing permissions for all users or sites at once. Break inheritance from the parent site.